In 2005 I started up a weekly art workshop at the artdepot in North Finchley (London). The participants in these sessions are aged 12 months to 5 years old. The main aim of the workshops is to allow young children to fully explore working with art materials in an environment where making a mess is not an issue. 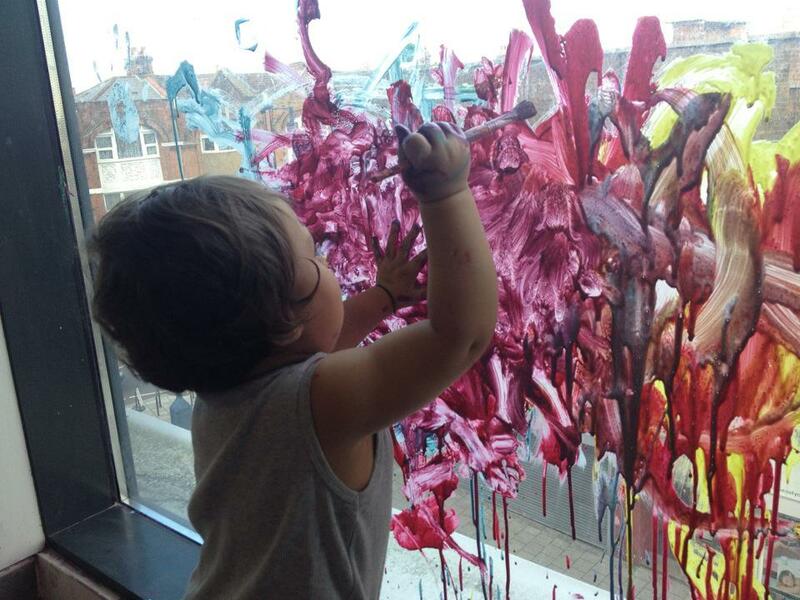 Activities include large scale painting (including painting on windows), filling a room with shredded paper, light and dark workshops with projections and sculpture.